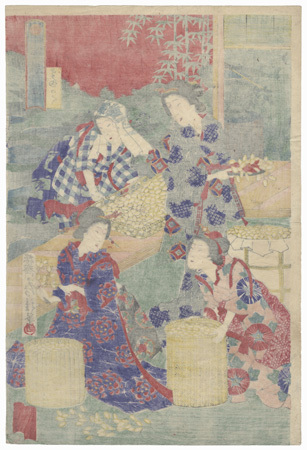 Comments - Interesting scene of from a Fusatane series illustrating the stages in cultivating silkworms to produce silk. 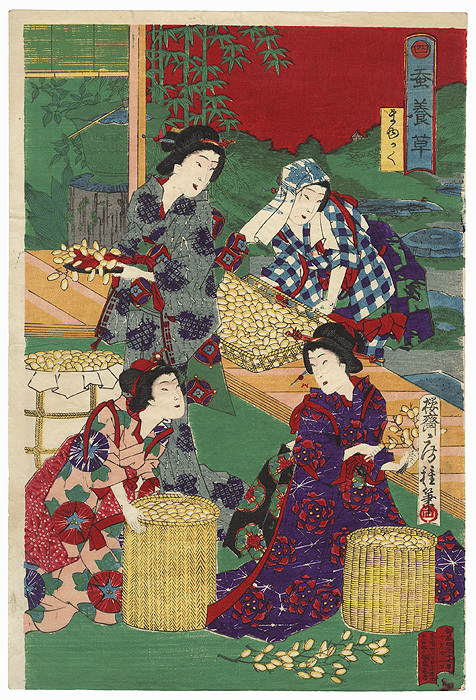 Here in step 4, beauties pluck silkworm cocoons from branches, filling large baskets. 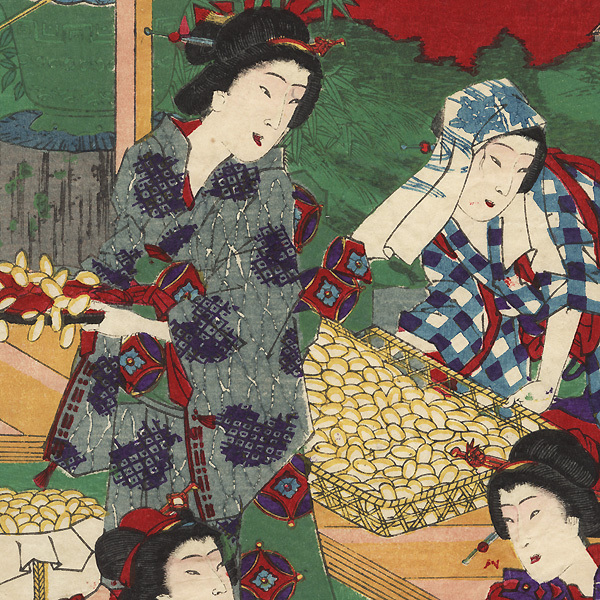 At upper right, a woman brings in a tray of cocoons for processing. An intriguing look at a stage in the ancient art of sericulture.